Wine Wednesday, Sparkling Sunday, Merlot Mondays. Any day is a wine day if you want it to be. Not just a wine bar, Bin 152 is also a cheese bar, art gallery, and antique market. This favorite wine spot is located in the French Quarter of downtown Charleston within walking distance of several inns and hotels. They offer over 40 different wines by the glass, 200 different wines by the bottle, and 40 different cheeses and charcuterie. Their hours are Monday through Sunday, 4 pm to 2 am. Uncork is the self-proclaimed spot for “The Curious Explorer”. They offer wines from around the world and the staff is always available for great recommendations and insights. They have a selection of cheeses, charcuterie, small plates, and desserts for you to choose from. Happy hour is every Wednesday through Friday, 5 pm to 7 pm with 15% off all pours. They also offer 20% off food for all government employees. Avondale Wine & Cheese is located in Avondale right across the Ashley River from downtown Charleston. Avondale Wine & Cheese is a wine and cheese bar with a variety of wines, cheeses, and gift baskets. While their wine comes from all around the world, a few of their cheeses are actually locally made. They serve red, white, and sparkling wine by the glass or bottle. It’s all in the name; this is The Wine Bar. Located in Mt. Pleasant, The Wine Bar offers over 100 wines, 25 craft beers to choose from, and chocolates. Yes, you read that right. They have a selection of chocolates you can bite into while enjoying your vino. 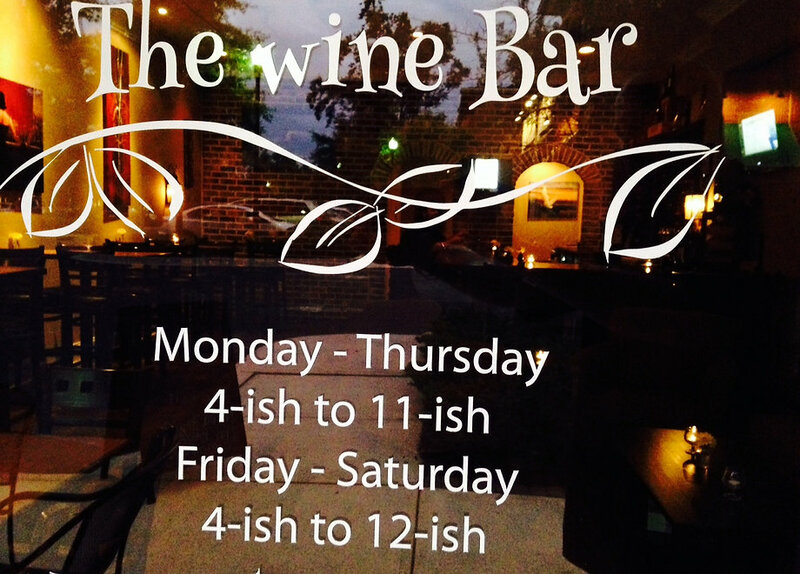 Happy hour is every Monday through Thursday, 4 pm to 7 pm and they have free wi-fi (work and wine?). With so many new wine bars popping up around the city it was hard to choose just a few. Didn’t see your favorite on this list? Next time you’re at your favorite wine spot take a picture and tag us in it. We want to know about all the best wine bars in Charleston. Travel + Leisure recently went on a mission to find the coziest restaurant in each state. They then compiled a list of spots which embody a “holiday-time feeling of friendliness, familiarity, and relaxation”. So, what’s the most welcoming restaurant in South Carolina? Harold’s Cabin. Located on Congress Street in downtown Charleston, Harold’s Cabin first served residents of the Lowcountry between the 1920s and 1950s. It started as a snowball shop followed by a corner grocery and lunch spot. Now Harold’s is open for lunch and dinner, Tuesday through Friday, and for brunch and dinner on the weekends. While the cozy feel is welcoming, many people stay for the food. With great specials, herbs and greens picked right from the rooftop, and a menu unlike any other, Harold’s Cabin is a great place to eat. If you haven’t been there go see why Travel + Leisure dubbed this as the coziest restaurant in the state. Check out the full list at Travel + Leisure. Cold temperatures have invaded the Lowcountry with plans to stick around for quite a while, and as much as we’d love to bundle up in our beds and avoid any outside interaction, life must go on. 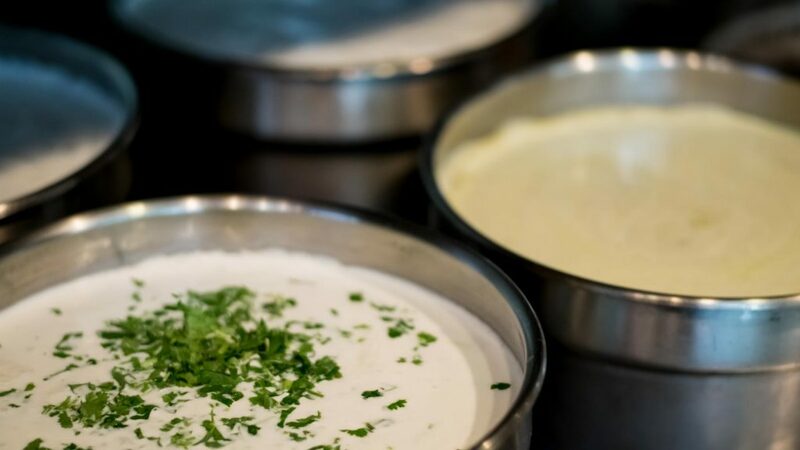 Luckily, Charleston is filled with some fantastic soup spots that will help warm you up because let’s face it, nothing tastes better than a bowl of hot soup on a cold day or night. Rainy day or cold day, 82 Queen’s she-crab soup is praised by both locals and tourists. Named after its historic address, 82 Queen consists of three buildings and garden courtyard which you can enjoy what many say is “award-winning” soup. Make sure you splurge for a bowl and not a cup though as a cup is simply not enough. Co isn’t just the best noodle bar spot in Charleston, it’s also home to some of the tastiest soups! The Vietnamese ramen broth dish and beef pho are both local favorites. Pretty much everything on the menu comes with their delicious broth base which is to die for! At Five Loaves you can enjoy a bowl of soup knowing you’re supporting local farms and eating healthy. With antibiotic and hormone-free meat and fresh vegetables from local farms, Five Loaves has a long list of soups to choose from. Tomato Tarragon and Crab soup are two of our favorites but you can’t really go wrong with any of the options. With twelve locations in South Carolina, North Carolina, and Ohio, Ladles is a popular soup spot. Popular for their half soup and half sandwich deal, you can warm up and fuel up with a wide selection of soups and sandwiches. The Greek Lemon Soup is a must try and will leave you wanting more. Located on King Street, Basil Thai has five different soups for you to choose from. Authentic Thai food at its best, the wonton and coconut chicken soups are the top soups to try. Swing by for lunch or dinner and enjoy a bowl of soup and great atmosphere. These soups are worth bracing the cold and will make any winter day just a little better. So, grab your coat and scarf and head out to enjoy a nice warm bowl of soup at one of these top soup spots in Charleston. Trying to figure out what to do this weekend in Charleston? We’ve got you covered. A reoccurring event, this series celebrates local craft beer at different spots around town. This time it’s at Pour Taproom and will feature 2-3 beers from some of our local breweries with a rep from each. Try some beer, maybe get some free swag, and have a lot of fun from 6 pm to 9 pm. Another reoccurring event, Hops N Headphones is hosted by Quiet Kingz Headphones and Charleston Beer Works. So, after you finish up at Pour Taproom you can head down King Street to Beer Works and enjoy some food, drinks, and tunes. The silent disco party starts at 10 pm and ends at 2 am. Come out and help support the Brain Injury Association of South Carolina with oysters, chicken and white bean chili, and live music from 6:30 to 9:30 pm. Held under the Bus Shed at the Charleston Visitors Center in Downtown Charleston, tickets are $45 and all proceeds go towards helping and supporting people and families with brain injuries. Don’t miss out though, ticket sales end at 6:30 pm the night of the event. Kicking off at 7 pm, the annual Folly event is back with competitions, food, live music, and some pretty awesome drink specials. The two-day event starts with a cocktail competition at Tides and is followed up with a Center Street festival on Saturday. On the third Saturday of every month, you can enjoy food and drinks with local artisans while shopping and exploring jewelry, skin care, art, decor, and more. This month the event is being hosted by Edmund’s Oast Brewing Co. on King Street and will be running from 4 pm to 9 pm. Edgar Allan Poe is turning 210 on Saturday and Poe’s Tavern on Sullivan’s Island is throwing an epic birthday party for him. Think cake, balloons, tacos, burgers, fries, and more. Join the crew at 11 am and party the day away in honor of Poe. Who doesn’t want to eat oysters that will help protect sea turtles? From 2 pm to 9 pm, you can enjoy all you can eat oysters for $40 and enjoy live music at The Rusty Rudder. All proceeds benefit conservation and protective efforts for our sea turtles. Go buy your tickets. Want to start the day with an awesome scenic workout? Then grab a friend and head to Coastal Coffee Roasters in Summerville where you can rent kayaks or paddleboards for $45, or if you have your own equipment, hop on the shuttle for $20. The paddle is a little over 3 miles and will pass many historical sites for you to enjoy. Boozy Bingo is making a triumphant return to Charleston Sports Pub in West Ashley from 11 am to 2 pm. Bingo is free to play and starts at noon for parties between 6-10 people. Returning to its home base, the Vintage Market will be at The Park Cafe on Rutledge Avenue from 9 am to 3 pm with brunch, bloodies, mimosas, coffee, and all the vintage merch you could want. Brunch is served at The Watch Rooftop Kitchen & Spirits from 10 am to 3 pm with live music from 12 pm to 3 pm. Bring your own mat and start your Sunday off with a free barre class at The Container Bar downtown. From 10 am and run to 10:45 pm you can get in a great workout, then reward yourself with a few drinks and bites afterwards. Yes, we’re drooling too. You can build your own queso covered brunch bowl with Rebel Taqueria at Workshop on King Street from 10 am to 2 pm. Have the cheesiest brunch of your life. Every year Yelp compiles a list of the top 100 restaurants in the United States with the help of the Yelp community, dubbing these restaurants “The Top 100 Places to Eat in the U.S.” Just recently released was Yelp’s top 100 places to eat in 2019 and this year, two Lowcountry restaurants made the list. With over 25 million reviews in 2018 alone, Yelp’s sixth annual “Top 100 list” consists of restaurants which received the highest reviews and rankings, with the number of reviews taken into consideration. So which two Lowcountry restaurants were tasty enough to land in the top 100? On the list for the second year in a row, Hall’s Chophouse has over 1,500 reviews and 4.5 stars. In 2019, Hall’s finds itself in the number eighteen spot, falling a bit from the number fourteen spot in 2018. Despite the move, Hall’s remains a top restaurant in Charleston and the country. According to their Yelp profile, visitors enjoy the filet mignon, she-crab soup, burger, wedge salad, and french toast the most. Making its debut in the thirty-third spot, Myles and Jun Yakitori has a perfect 5-star rating and almost 400 reviews. Just a short drive from Charleston, Myles and Jun Yakitori offers great food, drinks, and ambiance. Some of their top dishes include crispy pork belly, honey toast, ramen, and wagyu beef according to their Yelp profile. What are your thoughts? Have you tried either of these restaurants before? 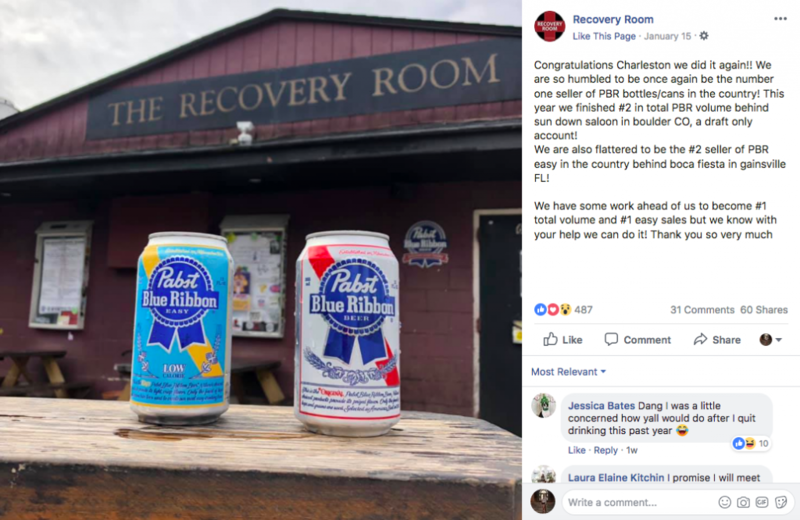 Do you think Yelp left a Charleston favorite off? Read Yelp’s full 2019 list here. It’s time to put aside all resolutions and break out the holiday eating pants again. That’s right, it’s Charleston Restaurant Week! From January 9-20, 2019 you can enjoy Charleston’s culinary scene without breaking the bank. Twice a year, Charleston residents and visitors are able to try out some of the best restaurants in town at a fraction of the usual price. And, because there are so many delicious restaurants to try from and so little time, we’re highlighting some of the best menus. As if their tacos aren’t enough reason to visit Cantina 76, they’re offering three courses for only $15 during restaurant week. Included on their menu is a choice of queso, guac, or salsa, served with chips; a choice of an entree; and your choice of a dessert or one of their handcrafted margaritas (margarita, please). After seeing frickles (fried pickles) and pretzels with queso on Carolina Ale’s restaurant week menu, we were sold. Located in Downtown Charleston on the corner of King and Meeting Street as well as in Downtown Summerville right off I-26, Carolina Ale is offering a two-person, three-course meal for just $25. Just on the other side of the Ashley River is Ms. Rose’s Fine Food & Cocktails. A neighborhood favorite, Ms. Roses Fine Food & Cocktails is offering a variety of their delicious Southern dishes including their grilled cheese plate and smoked beef ribs. Named after the highway that runs along the Baja California coast, Mex 1 is another hot spot for Mexican cuisine and they’re serving up a three-course meal for $30. While the normal restaurant week menu doesn’t include any adult beverages, the bonus round for $12 includes not one but TWO specialty cocktails. Dockery’s is perfect for a night away from the town. Located on charming Daniel Island, they’ve got live music and food options for everyone. Seriously, their first course includes options like calamari and chili, followed with a vegetable plate entree or the local fish. For dessert? Cookies and milk, apple fritter, or coconut cake. There’s an option for everyone in your group. Looking for a good view to compliment your meal? Here’s your place. Tavern and Table, located on breathtaking Shem Creek, is not only offering three delicious courses for $35; they’re adding in an extra perk with wine specials during all of the restaurant weeks. Cheers! Bohemian Bull has compiled two menus offering some of their best dishes. While both menus are priced for two people, one is priced at $25 and the other at $35. The difference between the two? The entree selections. Restaurant Week is the perfect time to try out Charleston’s hottest and newest restaurant. Located on Upper King, Bourbon & Bubbles is offering a three-course meal including favorites like deviled eggs, tots, and tenderloin. 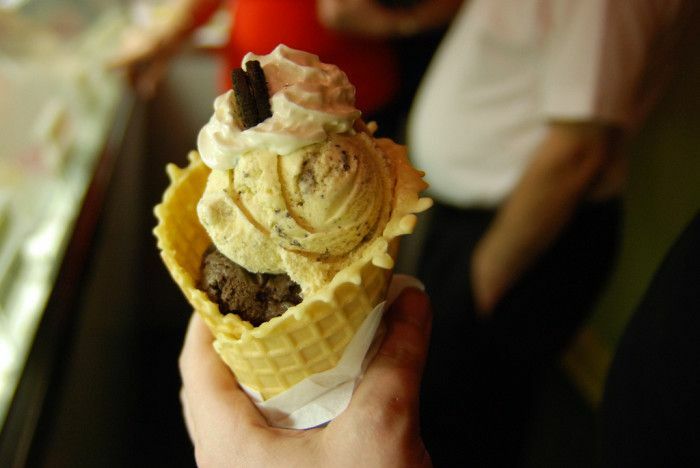 Here’s the Scoop on 9 of the Best Ice Cream Shops in SC! I scream, you scream! 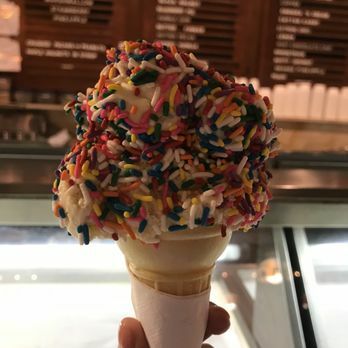 There’s nothing like satisfying your sweet tooth and treating yourself to some delicious ice cream! Plus, a few gelato spots, just for good measure. A tradition since the 1920’s, this student run ice cream enterprise in Clemson University serves ice cream, coffee chillers, fruit and yogurt smoothies, shakes and sundaes and even Clemson blue cheese. They’ve got nine classic flavors always on hand plus fun rotating flavors like tiger boulevard, caramel cookie dough and black cherry! 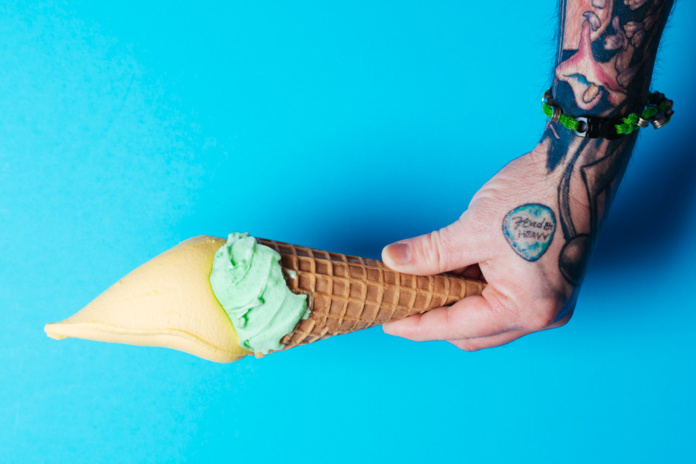 It’s farm to scoop at this ice cream shop. 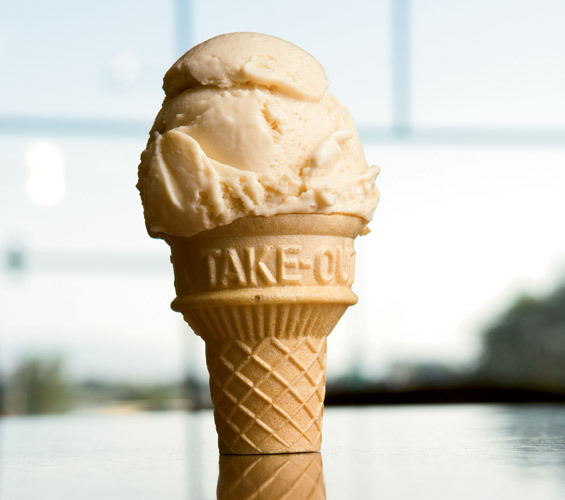 Using local and mainly organic ingredients, their made from scratch ice cream prioritizes quality. The quaint spot on Johns Island has a rotating menu of six flavors. You can still get creative and build your own ice cream sandwiches and brownie sundaes. Daily, fresh, handcrafted, homemade gelato made in small batches as its ordered to ensure quality. Does it get any better than that? It’s made just like authentic Italian gelato, but with a Belgian chocolate twist. Get a cup of coffee on the side! 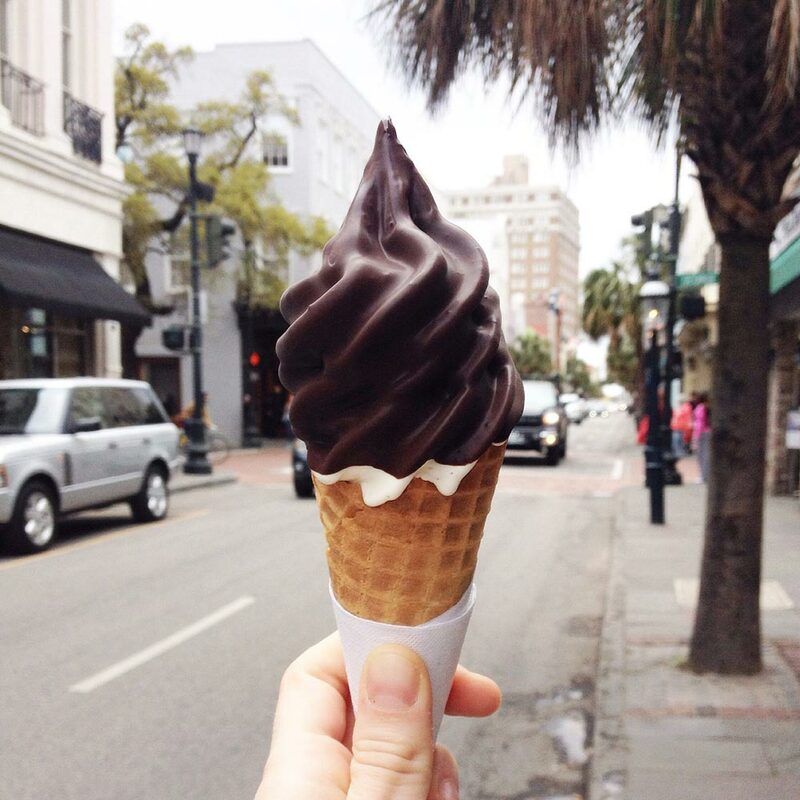 Recently relocated and upgraded, this downtown Aiken shop is best known for hand-dipped ice cream and waffle cones. The new location is taking their classic offerings to the next level with more sundae flavors and topping choices. Take a bite into the good ol’ days at this family-owned dessert parlor. With 90+ flavors of ice cream, frozen yogurt and sherbet, the only problem you’ll have is deciding what to choose. The local mom-and-pop shop now has two locations, both a couple blocks from the beach. Their display case is sprawling with up to 40 different flavors of creamy goodness. 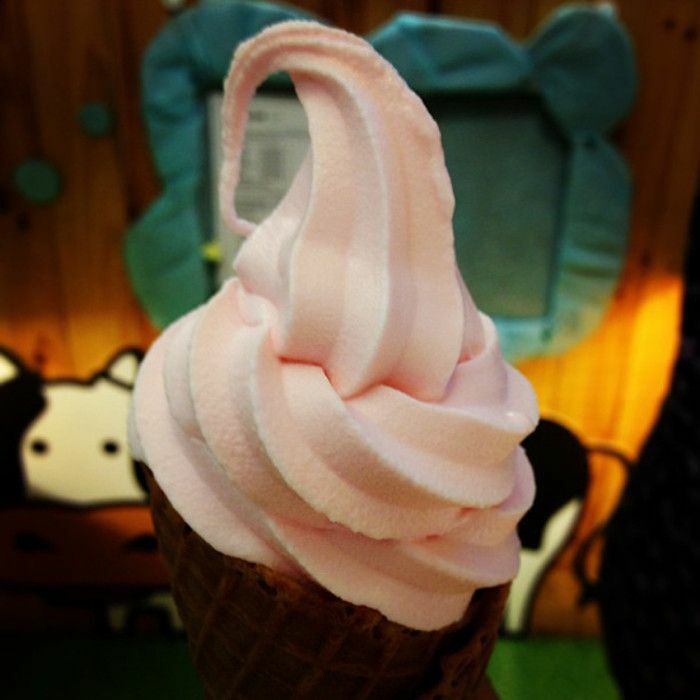 Check out one of their unique concoctions like blackberry cheesecake or pineapple and strawberry swirl while you hang out on soda fountain chairs or play some of their retro games. Although they are currently moving locations to 123 Main St., stay tuned because soon enough you’ll be able to dive back into their authentic artisan gelato. You can enjoy their 20 daily flavors outside or inside, either way it’s a warm and inviting atmosphere! 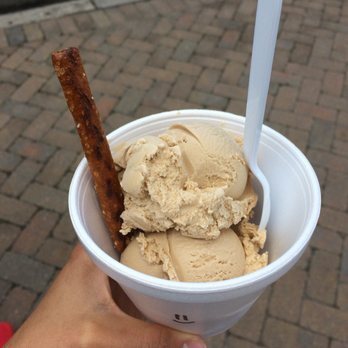 An “ice cream-ologist” comes to the store every morning to concoct fresh flavors at this neighborhood favorite. The flavors change daily, but there is always something special. 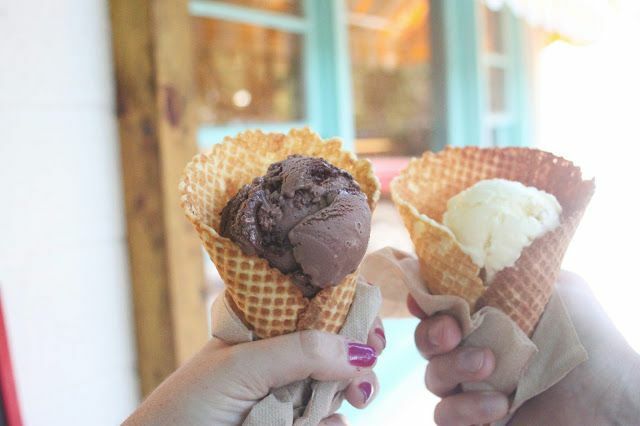 Get your scoop (or three) in a cup or a cone. If it’s around, be sure to sample the lemon crunch! 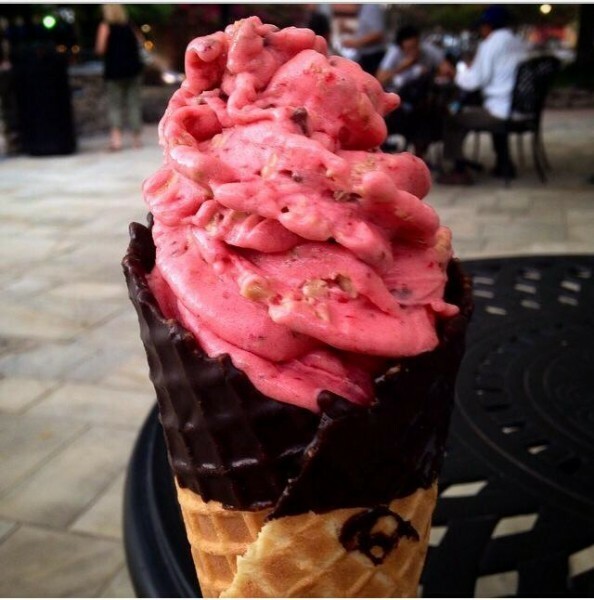 Winner of Best of the Upstate Frozen Treats, this unique and innovative coffeehouse and creamery will have you coming back again and again. Their downtown location is a sweet spot right on the river. Try the espresso milkshake for the best of both worlds.